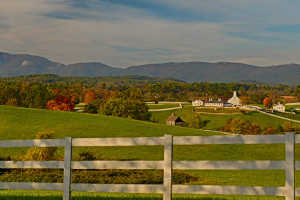 Madison County, Virginia, with its dramatic Blue Ridge Mountain views, has some of the most beautiful farms in Virginia. Most places in Madison are within an hour or two drive from the Washington, D.C. metropolitan area. 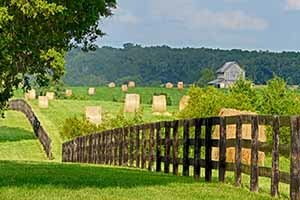 According to the 2012 Census of Agriculture (completed every 5 years), Madison County has 522 farms, accounting for over 106,000 acres, with an average farm size of 205 acres. 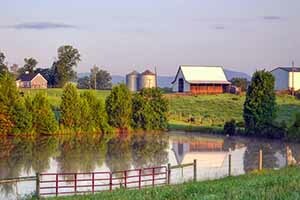 60% of Madison County farm product sales were in livestock in 2012, specifically in cattle. Yet the majority of land in Madison County farms was used for cropland (37.4%), with top crops being hay, soybeans, corn, and grain. 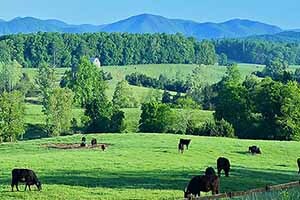 Pastureland made up 32.9% of land use, woodland 23.4%, and other uses accounted for 6.3%. 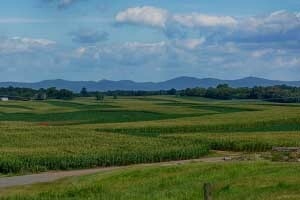 736+/- acre Crop and Cattle Farm in Somerset. Crop Farm is Under Contract. Cattle Farm is still for sale. 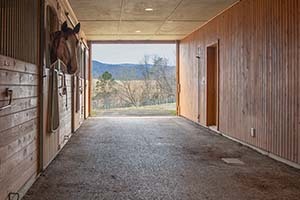 33+/- acre Madison County Horse Farm with indoor arena, center-aisle stable and barn apartment. 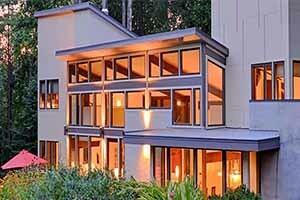 $895,000. 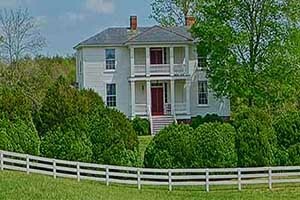 Visit the current inventory of farms for sale in Madison County . 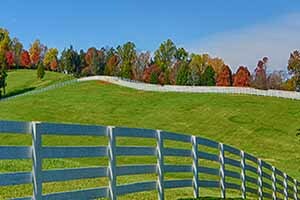 MadisonCountyVaFarms is updated hourly. For your convenience we have included additional information which can be accessed by clicking on the photo. 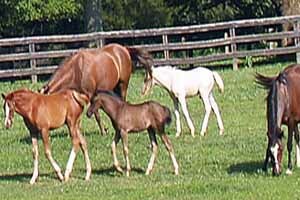 Madison County is home to numerous horse farms, cattle farms, vineyards and orchards. The rich soils are perfect for many crops, as does the elevation provide for good frost protection for the vineyards and orchards. 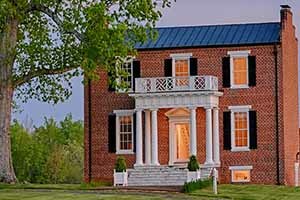 Because of Madison's location within the state of Virginia, it is perfect for ag-tourism, growing fruits and vegetables for farmer's markets or for the ever-growing restaurant culture that prides themselves on serving local products. 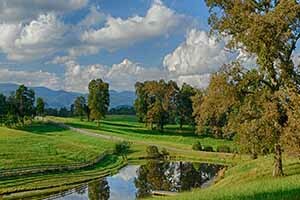 The people of Madison County cherish the natural beauty of the county and have adopted policies in which help to restrict growth. For example, each tax map parcel can only be divided four times every ten years. Other than Albemarle County, Madison has the most conservative subdivision rules of any county in the central Virginia area. 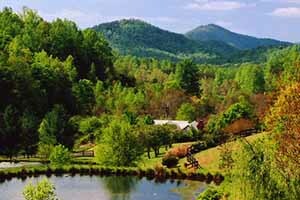 If you are looking for a farm in Virginia, but want to be close to cultural events, then Madison County may just be the place for you! 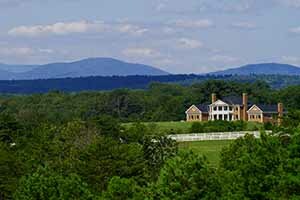 Contact us today to begin your search for your ideal farm in Madison County Virginia!